After rendering Student role in Happy days, Rahul Tyson done many different character in his career. He even surprised his fans with Six-Pack. 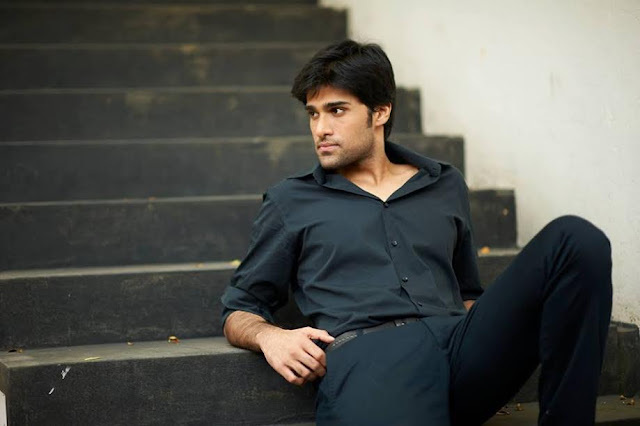 He is currently busy with his upcoming film 'Venkatapuram' which is scheduled for release this May 12th. The first look posters and teasers has created required hype for the film and Rahul Tyson is expecting a super hit film. Now, Rahul Tyson's next film will be more bigger film. One of the biggest production houses in Kollywood, 'K Productions' has roped in Rahul Tyson for their straight Telugu film..Recently they watched Venkatapuram and Impressed.K Productions house has recently released Magnum Opus Baahubali2 in Tamil. The Production House 'K Productions' has recently delivered super hit film 'Power Paandi' directed by Tamil hero Dhanush. They are currently busy with a Gautham Menon's film 'Enai Noki Paayum Thota' starring Dhnaush in lead. The production house is also producing a periodical film '1945' with Rana and Razina in lead. The K Production house is looking for a right launch in Tollywood and they roped in Rahul Tyson for their first film in Telugu. The straight Telugu film will be directed by a newcomer Rangaraju. Rahul Tyson will be seen in very different role and CG graphics will have a vital role in this film. Currently Pre-production work is in full swing and regular shooting will begin in July.